Lead Lipsticks, Folliculitis with MRSA from Hair Removal, and other Deadly “Beauty” Choices | Sally Ember, Ed.D. 10/21/2014 by Sally Ember, Ed.D. Hold on just a minute: what are you putting on your lips? What are you kissing on someone else’s? 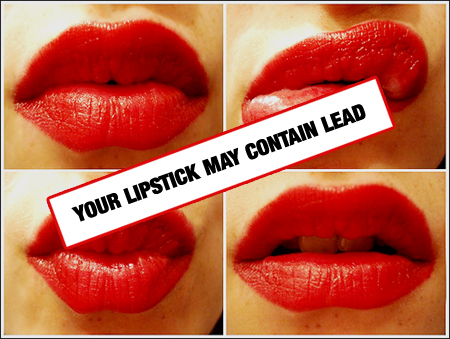 LEAD, if you use commercial lipsticks these days, and other poisons. How many ways does the “beauty” industry despise, disrespect and want to murder women? It’s enough to make anyone sick. Here are some lipstick facts. As of 2007, Burt’s Bees, owned by Clorox but which claims to be a down-home, “natural” product company, had lead in its chapsticks and did not respond to Mother Jones‘ inquiries as of 2013 asking what they had done to eliminate lead. This does NOT just affect adult women: children and men use Burt’s Bees’ lip balms. Not to single out Burt’s Bees, but I’m hitting that company harder than others because of its atrocious pretense to “natural” ingredients. FRAUD. Instead of getting the lead out, lipsticks tested in 2007, 2009 and 2013 got WORSE over those years, with products made by Maybelline, Cover Girl, L’Oreal, Revlon, Stargazer, and others, including Burt’s Bees, all selling popular colors/brands of lipstick containing lead. What if you are lucky enough to have a lipstick that does not have lead? Are you safe, then? The research showed that only a few companies, notably Wet n’ Wild, Bobbi Brown, and Shiseido, had zero lead in their lipsticks as of 2012. However, these companies’ products are not necessarily “healthy” for you, just not deadly. To learn know more about the toxic and disease-inducing effects of these chemicals when they are ingested by humans (not to mention getting into our water system when wearers wash their faces and hands), please read the article. (Original article is By Maggie Severns | published 5/6/13 in Mother Jones magazine. Read it! You want to cover/decorate your lips, anyway? Please use healthy, all-natural, proven and tested as well as beautiful products: lip glosses, tinted “shimmers” and balms from Badger. Badger Balm‘s products and the company itself are winning significant “green” and “B” Corporation awards annually. ALL Badger products are completely safe, mostly organic, and never tested on animals. They have hair oils, a line of products for men, skin products and much more than lip treatments. Now, what about that “extra” hair? If you insist on removing it, how to remove body hair safely? The ONLY method that does NOT lead to Folliculitis is mentioned, below. I still do NOT recommend removing unwanted hair, though. Just my personal preference: cut it. Methicillin-Resistant Staphylococcus Aureus = MRSA is basically a “staph” infection that is resistant to treatment/cure by most/conventional antibiotics, which means MRSA is much more dangerous and can be deadly. Some have called MRSA a “flesh-eating” bacteria, but that is a misnomer. MRSA can erode flesh, but not any more often or thoroughly than other untreated bacteria in the staph family. Let’s say you’re a “modern” female or male who wants to get rid of some (or all!?!) of your body hair who doesn’t want infections that maim or kill. Picky, picky. What to do? First of all, WHY do you have to remove body hair? I haven’t used a razor since 1978 and I am quite happy with that choice. Misplaced vanity and age inspire me to cut my chin hairs, but trimming is very different from actual removal (and completely harmless). Unless you suffer from a disorder that covers your face, arms, legs and other parts with hair and you are NOT okay with that, I just don’t understand why anyone “needs” to remove hair. Don’t send me comments explaining, though: I am not interested in your rationales. I just want you to do it more safely. Let’s go on to safe(r) hair removal methods. HOW are you going to engage in /have you already been doing removal of YOUR body hair? What will result from your chosen method(s)? Are you DIY or do you go to a “salon” or “spa” or other commercial establishment and have them do the removal? MRSA, HIV, Hepatitis B, STDs and other infectious/contagious diseases lurk in public spas/salons, worldwide! The article I am quoting, here, was published in India, but the safety recommendations and problems it researched apply everywhere. Not only women are affected, either. 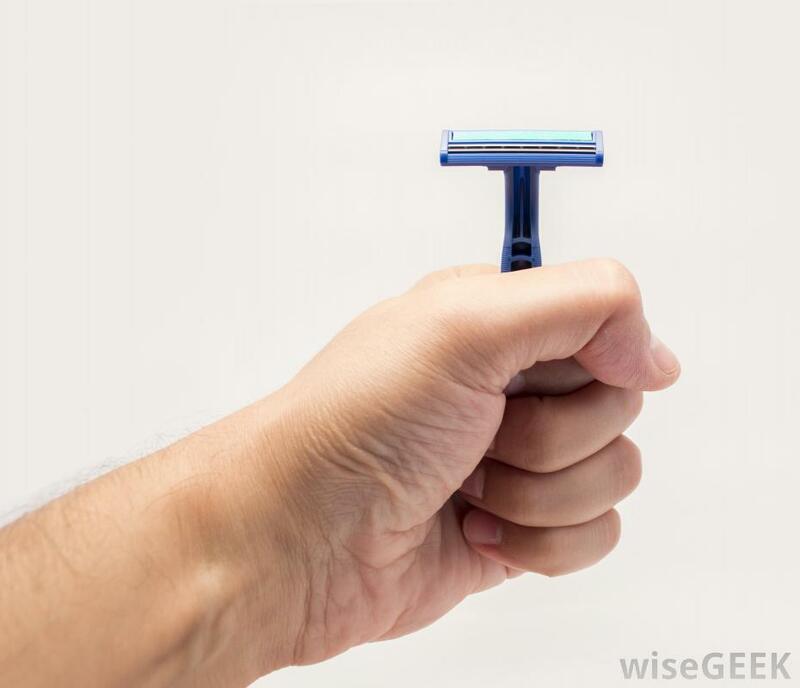 “Men need to make sure that disposable razor blades are used to trim their hair (shaving) so as to avoid hepatitis B and HIV.” This may seem obvious, but you’d be surprised at how many men go to barber shops to get haircuts and never ask if the razors used to shave their NECKS (which is part of providing all “short” haircuts) have been sterilized or used prior to their shaves without having been replaced. This warning applies to electric as well as manual razors. What is required to keep hair removal equipment safe? More than some shops do. 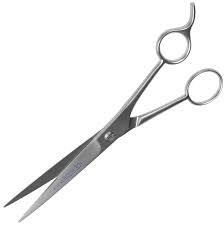 Think about ALL the re-usable instruments/tools that come into contact with your body in commercial establishments. I’ve had a pedicure and manicure occasionally in recent years, but I have never asked these questions or checked out these procedures. I will NOW! This article is worth reading (link below). Let’s talk about waxing safety measures, since waxing is currently THE most popular and commercialized hair removal method, especially for younger women and most men. Re-using wax? Ewww. That is truly disgusting to contemplate. How do they remove all the hair from the wax? Yuck. There are so many ways for hair removal methods to be done sloppily that I shudder to consider them all, especially due to the severity of the potential outcomes. Picture this: a woman (or man) goes in to get her hair removed. Waxing ensures. All seems to go well UNTIL a few weeks later, s/he develops herpes or warts in the groin area. These diseases are incurable, painful, contagious and recurring. For the rest of the victim’s LIFE and possibly any future partners’ lives. Don’t even get me started on what imbalance or illness has developed in a modern girl’s or woman’s self-regard that makes her believe her vaginal area is supposed to be almost or completely hairless (making it resemble a pre-pubescent girl’s) or for males to believe that a hairless chest or back (again, relegating “attractiveness” in adult males to pre-pubescence) is all their partners will accept. These cultural constructs make me both sad and furious. I like hairy, adult, male chests? 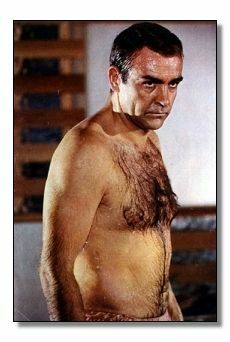 Am I the only one left who remembers Sean Connery as James Bond, hairy chest exposed, with great affection and attraction? Ahhh. Are the so-called benefits of waxing worth the risks? Read on. Please regard and share these extra and specific cautions, below. Do not wax over an area that has had a botox injection for at least 72 hours. Do not wax if you have protruding varicose veins, diabetes, skin eczema or infection. Do not wax if you are using any anti-ageing or acne creams that may contain a retinoid, as skin will be extra susceptible to getting burned and peeled off. Deciding you may want to keep your “unwanted” hair rather than acquire even more seriously unwanted problems? Good choice! I usually ignore or deride Fox “NEWS,” but this article quoted above and below seems well-researched and the info corresponds to many others I read. (Credit goes to Julie Revelant (who is a freelancer and does NOT work for Fox NEWS), published 8/29/14: http://www.foxnews.com/health/2014/08/29/4-hair-removal-methods-that-really-work/ ) for the following list (and she gives more info) about SAFE HAIR REMOVAL methods, to date. I’m sticking with my Badger Balm lip balms and lip shimmers and my hair-cutting scissors for my errant chin hairs. Also, I wish you all the best, whatever you choose. This entry was posted in Blogging and others' content, Life lessons, Opinions, Personal stories, Science and tagged bacteria, Badger Balm, beauty products, Burt's Bees, cosmetics companies, hair removal, herpes, HIV, lead, lip balm, lipstick, men, MRSA, poison, salons, spas, STDs, waxing, women. Bookmark the permalink. Thanks for the shout-out, Sally!